On this page we list some of the fantastic special deals we offer our customers. Call us now for full details or come back soon as these change monthly. FOR JUST $12.50 PER TYRE YOU GET. FREE PUNCTURE REPAIR, Any repairable puncture repair will be fixed free for the legal tread life of the tyre. 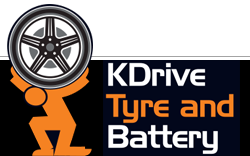 FREE TYRE REPLACEMENT, If the tyre can`t be repaired and you will pay nothing within the first 12000.00km or 12 months, whichever comes first. PROTECTION FOR THE LIFE OF THE TYRE, For the remainder of the legal tread life of the tyre. (after 1200.00km or 12 months) you will pay for the tread you have used. For example, if you have used 15% of the legal tread depth you will only pay 15% of the tytre current value to replace it.